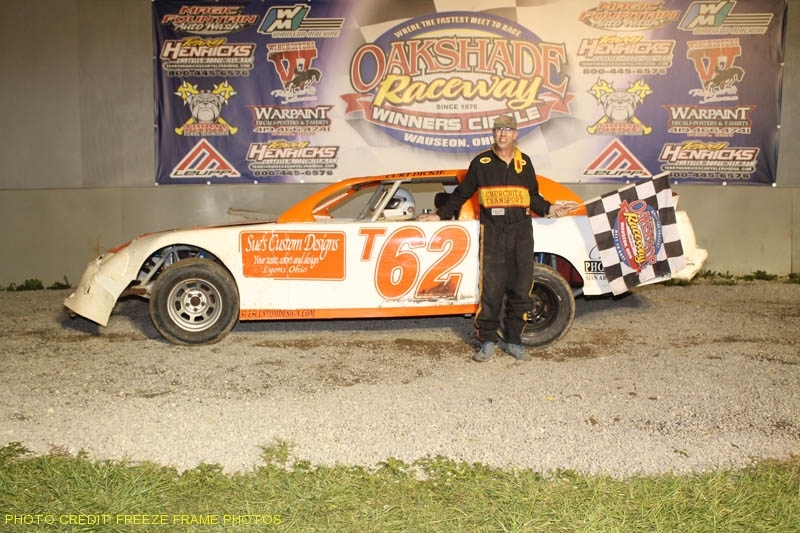 Rusty Schlenk picked up his third feature win of the season on an action-packed Memorial Night at Oakshade Raceway on Saturday evening. UMP Late Model point leader Devin Shiels grabbed the lead from Wes Morrison at the start of the Memorial Night feature event with McClure, Ohio’s Rusty Schlenk quickly moving in to second. The leaders caught the tail of the field and began to lap some of the back markers. Shiels worked low while Schlenk stayed up on the high side. Schlenk took advantage of Shiels’ getting held up a bit by a lapped car and took the lead away just past the halfway point of the race. Shiels was able to keep Schlenk in his sights, but had to settle for a second place finish which was enough to maintain his point lead. 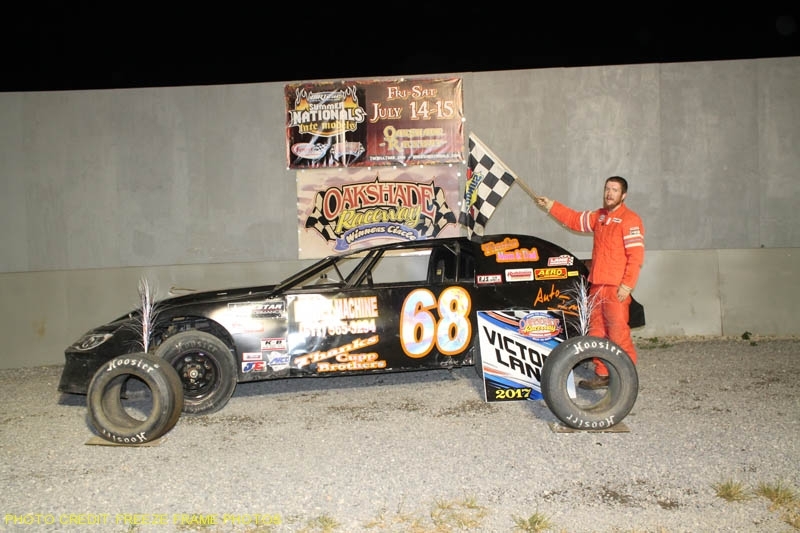 Mathew Chapman ended up third with Brian Ruhlman and Brad Eitniear finishing fourth and fifth respectively. Brandon Moore started on the pole of the UMP Sportsman feature event and led the field to turn two. 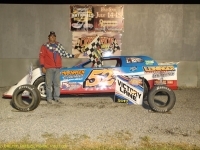 That is when Moore’s car had the rear end step out, thrusting him sideways which allowed Chane Stuckey to take command. A crash involving Joel Morton, Bob Krumm and Josh Robertson brought out the yellow flag on lap four of the 20-lap race. Jeff Geis from Wauseon, Ohio, was running second behind Stuckey for the restart and was able to take the lead by the completion of lap five. Stuckey continued to put the pressure on for the remainder of the race, but Geis held on to pick up the checkered flag. 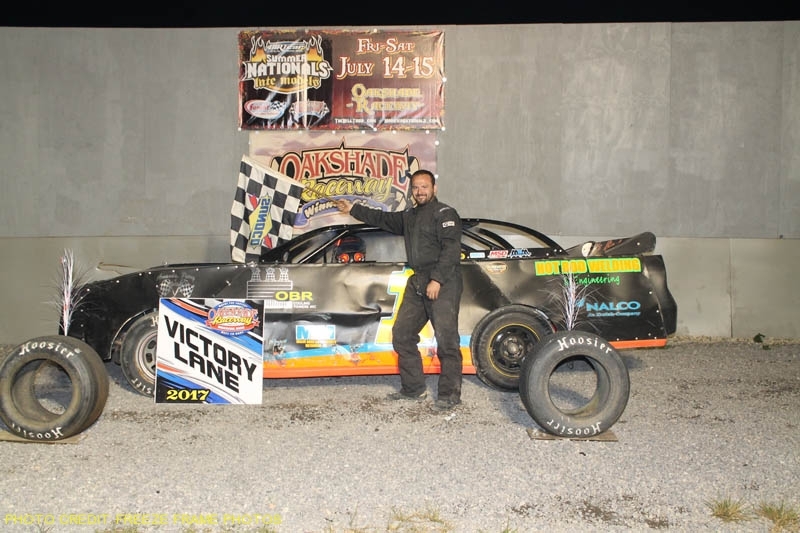 Rusty Smith stayed atop the Oakshade Raceway UMP Sportsman points with a third place finish. 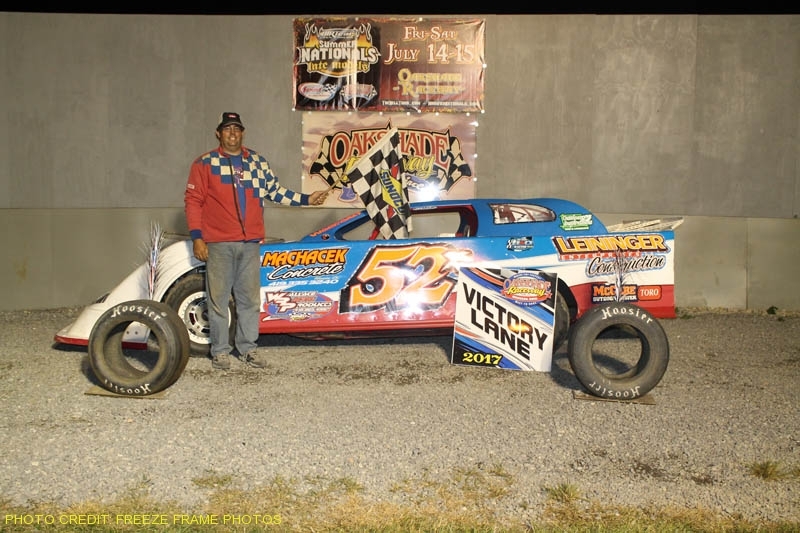 Last week’s feature winner, Chris Williams, finished fourth with Drew Smith rounding out the top five. Jackson, Michigan’s Chris Henry started on the outside of the front row in the Bomber A Main feature event. 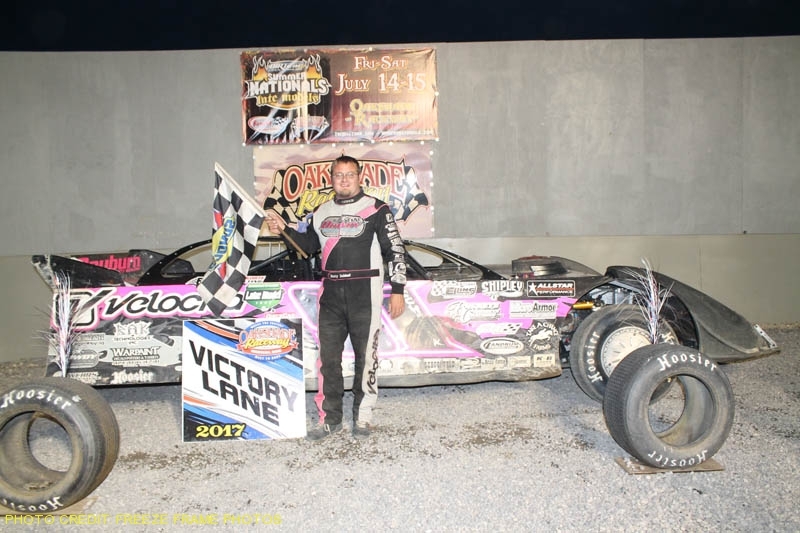 Henry was the Bomber B Main winner the week before and was able to fend off Gregg DeTray for his first A Main win of the season. DeTray was second after starting 11th. Jeff Foks Jr. maintains a slim point lead in the Bomber class after his third place finish. Tim Hancock and William Cundick were the rest of the top five finishers. 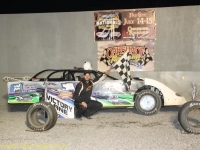 Brogan Rehklau picked up Compact feature win number three and number four. 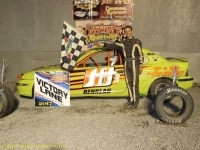 Rehlau was able to beat Jeff Foks Sr. in the regularly scheduled Compact feature after some side by side racing. Point leader Jason Deshler was third followed by Ryan Okuley and Carter Murday. 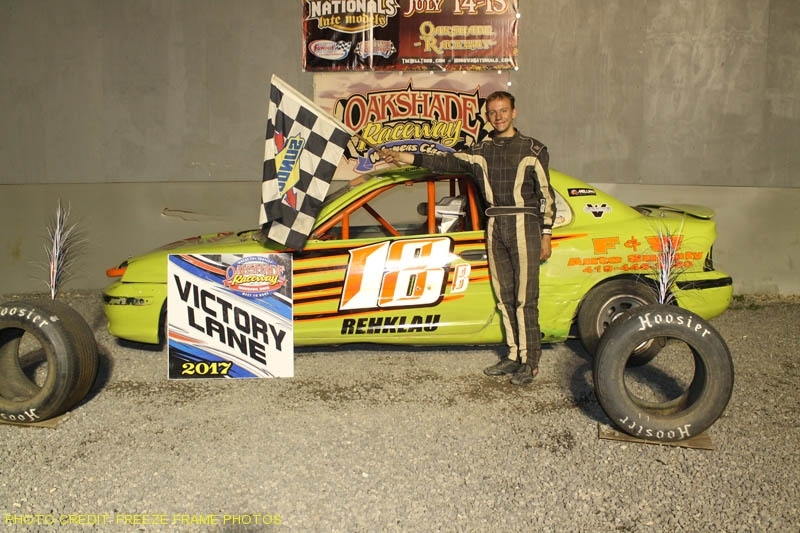 A little later in the night, the make up feature from the rain-shortened June 17th event was run and the top four finishers were the same as the previous feature with Waldron, Michigan’s Brogan Rehklau picking up the easy win. Jason Deshler was running second at the white flag, but Foks was able to get by after some contact in turn two. Finishing fifth behind Okuley was Nathan Goodman. Jerry Signor started on the pole of the Bomber B Main and led the early going. Brandon Clark from Lyons, Ohio, quickly marched his way toward the front after starting at the rear. Following a restart, Clark made contact with Signor coming off turn two causing Signor to spin out on the backstretch. Clark then took over the race lead and went on to pick up the victory over Donovan Paskan, Dave McMannamy, Brenen Mellon and Scott Hammer. 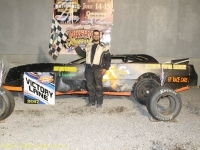 Justin Gamber from Wauseon, Ohio, had a similar performance in the Bomber C Main after starting at the rear and marching to the front to earn his second C Main win of the season. 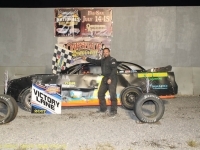 Jacob Rothenberger was second followed by Duane Fletcher, Ryder Price and Brian Johnsonbaugh. 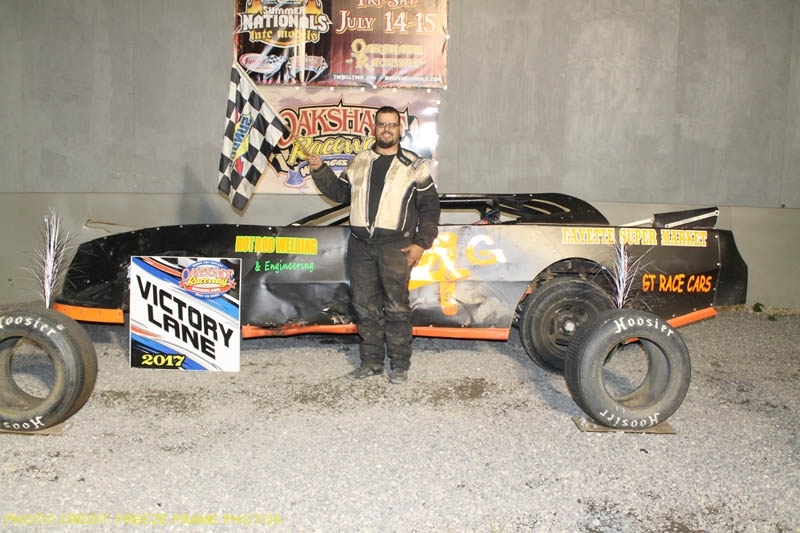 Berkey, Ohio’s Mike Jessen had an impressive run in the make up UMP Sportsman feature from the rain-shortened June 17th event. 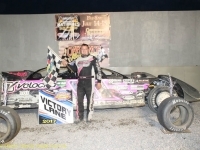 Jessen started seventh and had a strong run to the front to earn his first feature win of the year. 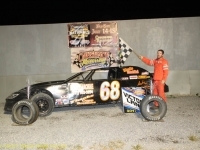 Point leader Rusty Smith followed with a second place run followed by Drew Smith, Brandon Moore and Chris Williams. 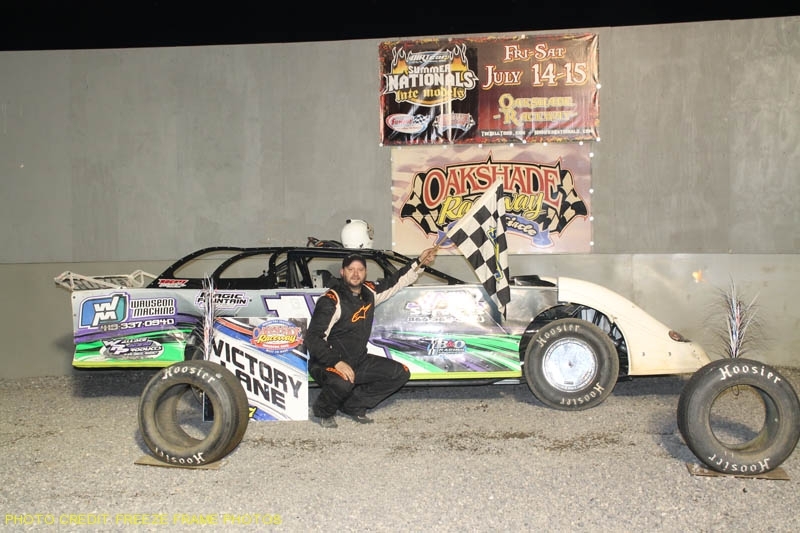 Oakshade Raceway will host a full racing program of UMP Late Models, UMP Sportsman, Bombers and Compacts on July 8 that will include the Vintage American Race Cars and double features for the Bombers. Gate will open at 4pm with hot laps at 6pm and racing at 7pm.